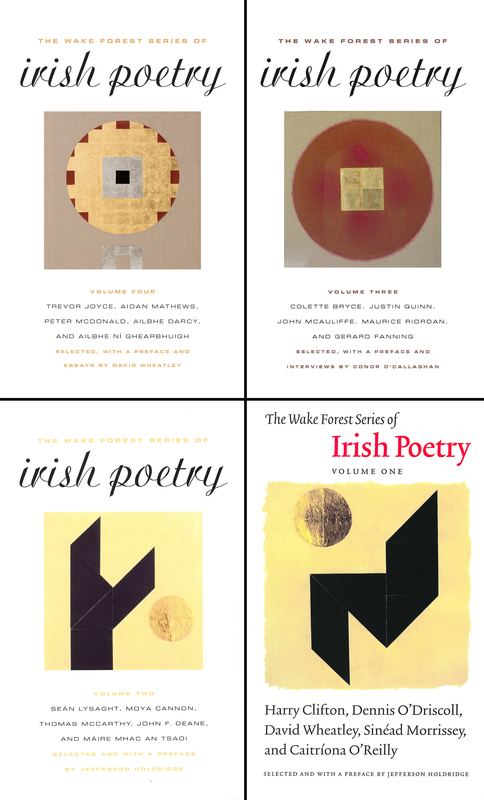 Buy all four volumes of The Wake Forest Series of Irish Poetry and save more than 30%! 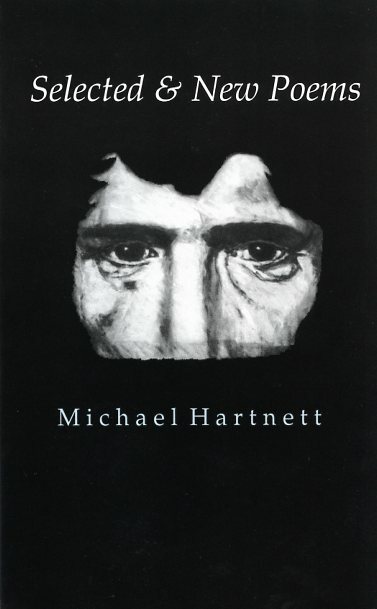 The Wake Forest Series of Irish Poetry bring lesser-known Irish voices to an American audience. 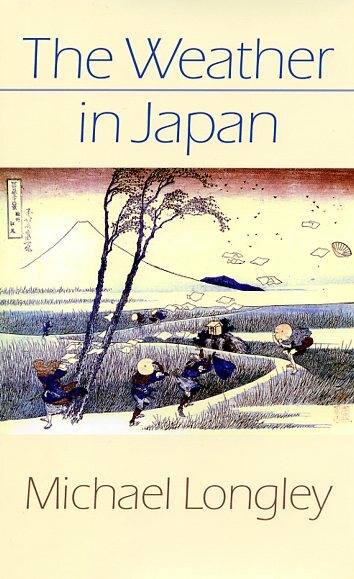 Each volume contains selections of work by five Irish poets, and the introductory essays and interviews by the editors provide context and background. Volume IV (2017): Poetry by Trevor Joyce, Aidan Mathews, Peter McDonald, Ailbhe Darcy, and Ailbhe Ní Ghearbhuigh. Edited by David Wheatley. Volume III (2013): Poetry by Colette Bryce, Justin Quinn, John McAuliffe, Maurice Riordan, and Gerard Fanning. Edited by Conor O’Callaghan. 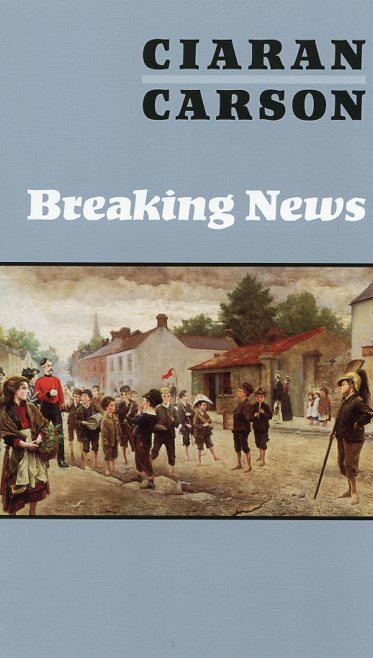 Volume II (2010): Poetry by Seán Lysaght, Moya Cannon, Thomas McCarthy, John F. Deane, and Máire Mhac an tSaoi. Edited by Jefferson Holdridge. 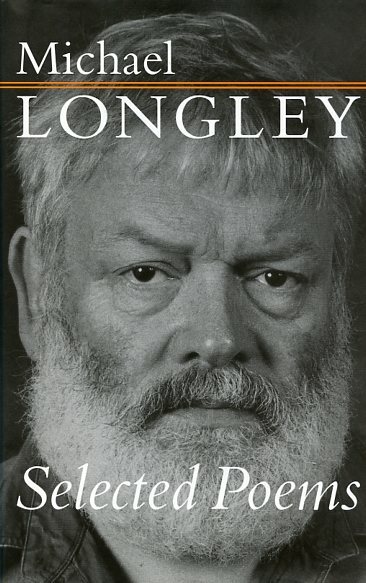 Volume I (2005): Poetry by Harry Clifton, Dennis O’Driscoll, David Wheatley, Sinéad Morrissey, and Caitríona O’Reilly. Edited by Jefferson Holdridge.